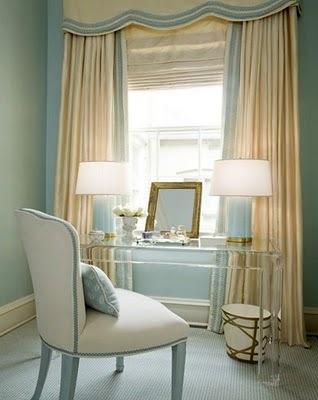 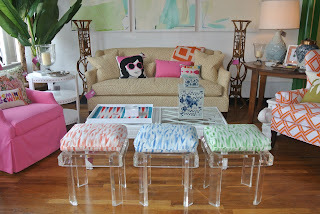 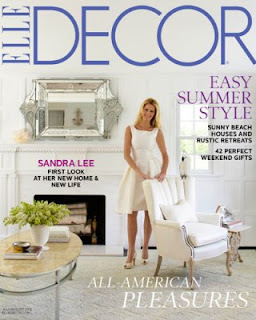 Elle Decor & MK Style love lucite! A material from the past that is ever present today. 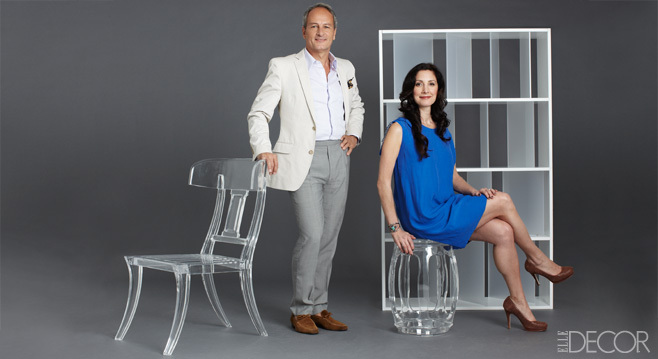 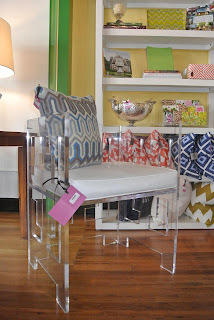 We found this lucite chair in Palm Springs, CA. 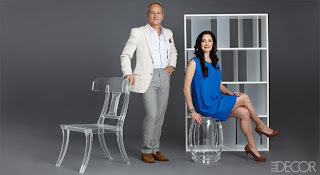 when put together as one large bench. Find these ottomans at MK Style! 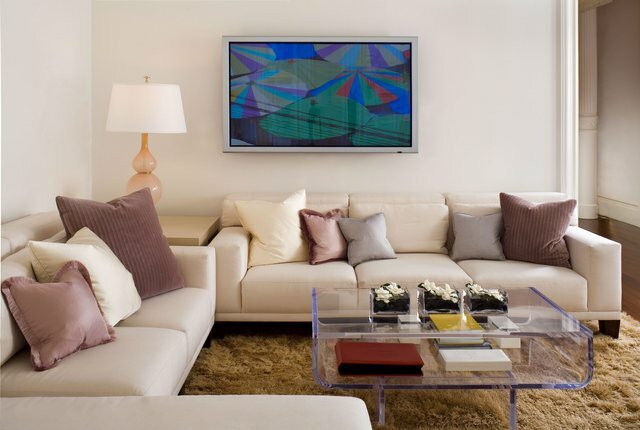 Interior design by Jan Showers. 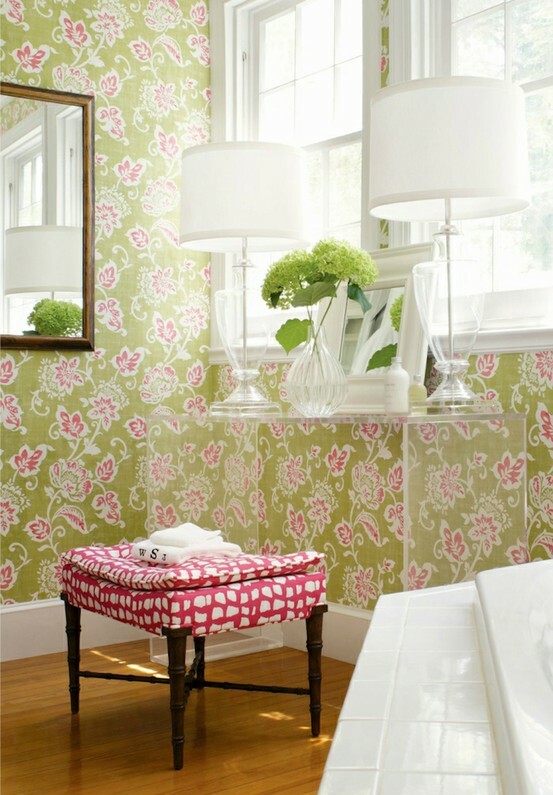 Wallpaper and ottoman fabric by Thibaut.